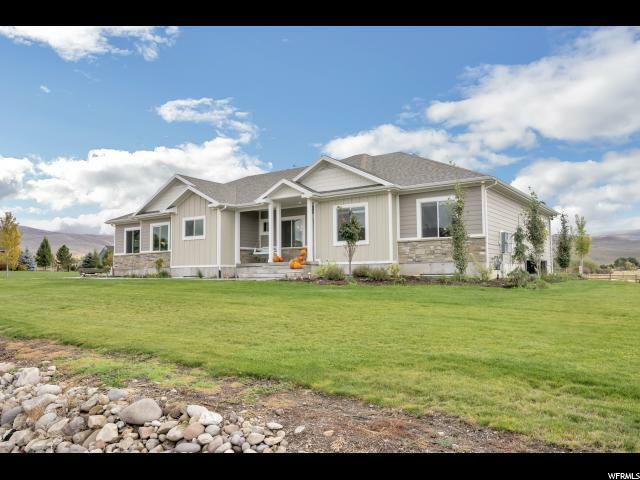 Custom built, 6 bedroom, 3 and 1/2 bath in sought after Wild Mare neighborhood with breathtaking mountain views. The open floor plan with large gathering areas make this a great home for entertaining. 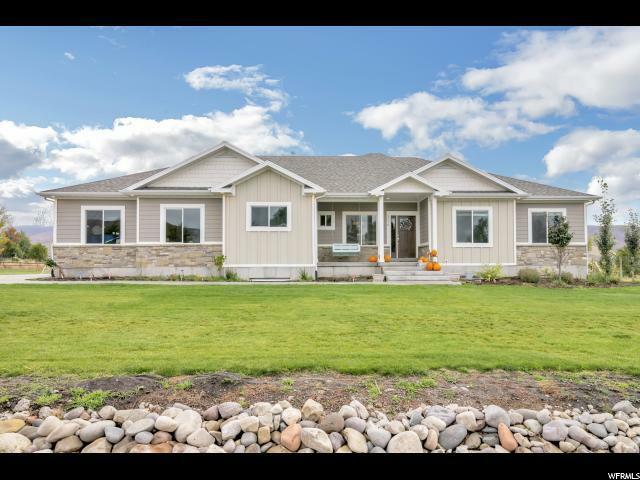 Features granite counter-tops, a large butlers pantry, main floor master suite with walk in closet, high end custom finishes complement the farmhouse interior and craftsman exterior. Very large storage room, extended cold storage and up and down laundry rooms perfectly augment all the open space. Family friendly backyard includes a large garden with established grapes and fruit trees, a large chicken coop, a kids clubhouse, slide, in ground trampoline, zip line, room for large animals and extended play area. 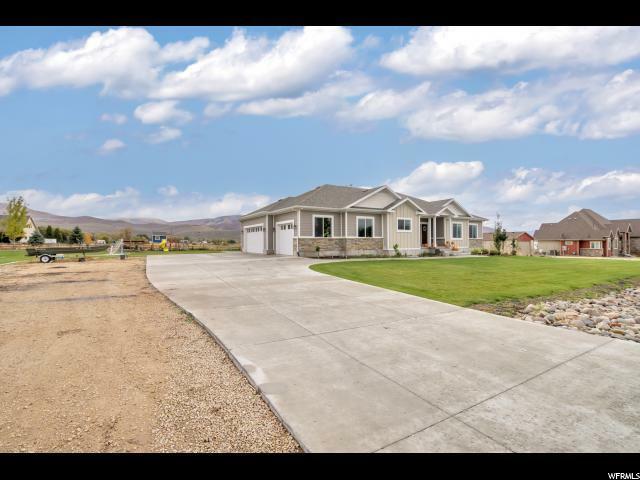 With no backyard neighbors and backing to 80 acres of open fields, this property has very easy access to all the trails throughout the community for horseback riding, dirt biking, mountain biking and hiking. 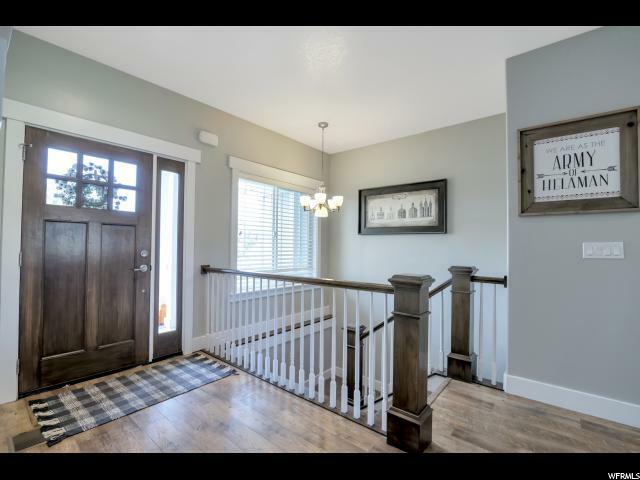 Home is minutes to Strawberry Reservoir, Deer Creek, Jordanelle, World Class Middle Provo River for fly-fishing, Park City Ski Resorts, 4 wheeling & beautiful golf courses. You are surrounded by the outdoors. Exquisite luxury mountain home! Square footage figures are provided as a courtesy estimate only and were obtained from county records . Buyer is advised to obtain an independent measurement.